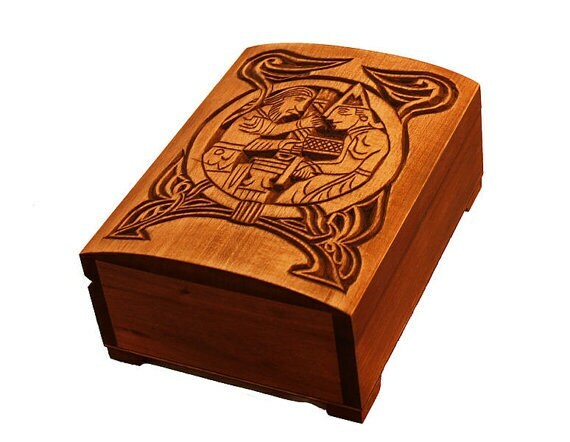 Up for sale custom made wooden carved box with personal pattern. 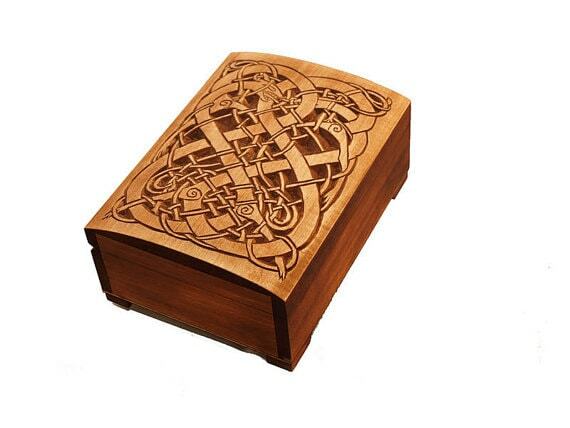 This box is crafted from apple tree. 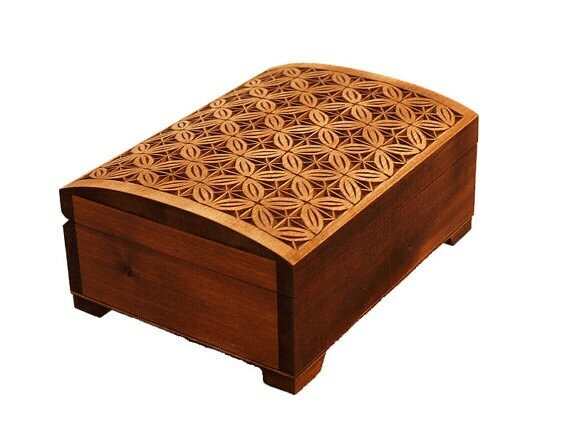 The lid will be hand carved your personal pattern. 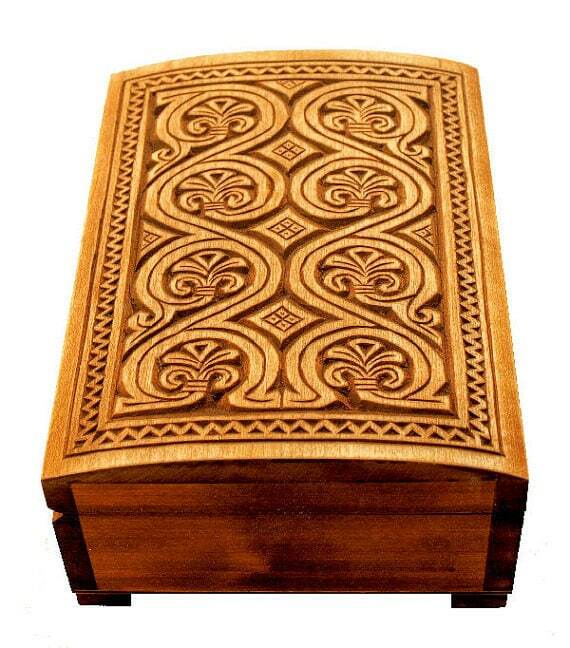 All pattern are hand carving – it`s NOT cnc or laser burned pattern!! For me it’s possible to carve anything: words, names, dates, drawing and so on. I need 3-6 business days (not including holidays or weekends) to carve your order. 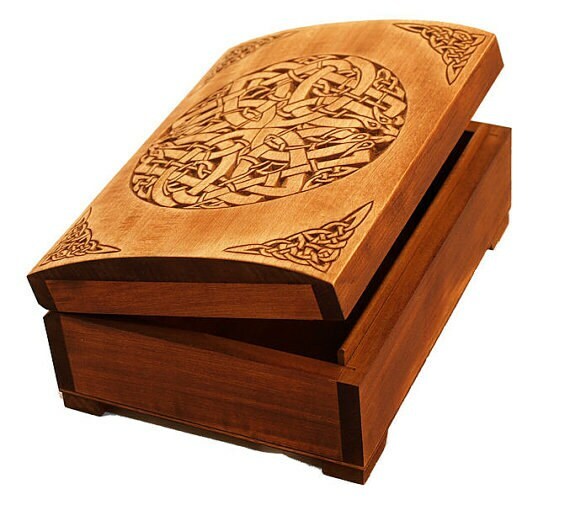 Before I will start carving I will send you photo mockup of the box to ensure your complete satisfaction. Highly recommended was able to accommodate a custom design in a fairly short time scale. Very impressed with the detail. Clearly very skilled. I created the carved template and they nailed it to perfection. Shipped in a quickly.